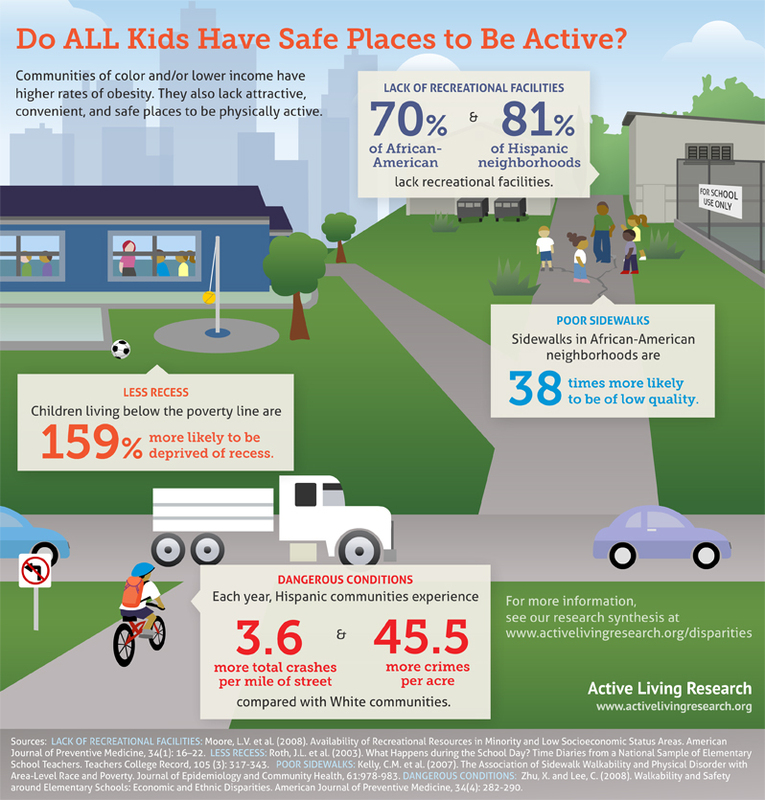 Infographic: Do All Kids Have Safe Places to be Active? This infographic is also available in Spanish: ¿Hay Lugares Seguros Para Que TODOS los Niños Puedan Realizar Actividades Físicas? This infographic can be downloaded for free in JPG format (415 KB) by clicking on the image or the "Download Original" link. A high resolution PDF version (3.91 MB) of this infographic is also available upon request. When requesting, please let us know how you intend to use the infographic.